We do not typically send out urgent requests in our e-newsletters but we have several special shelter pet rescue cases that we need your help responding to immediately. New Mexico Pets Alive! is one of the few shelter pet rescues that has a behavior rehabilitation program for dogs that have no other options due to a lack of in-shelter programming and services. 98% of these dogs need only minor behavior modification services to be the best friends they can be to a potential adopter but they must be the right services based on assessing each dog as an individual outside of a traditional shelter environment. We are in URGENT need of temporary fosters who have no other dogs in the home to help us save the lives of several dogs in NM shelters who will be put down very soon if New Mexico Pets Alive! does not transfer them into our shelter pet rescue program. If you are in the Albuquerque area and may be able to help, please complete our online foster application at: https://www.surveymonkey.com/s/CTR8NWP Being a temporary foster for NMPA! is a team effort. 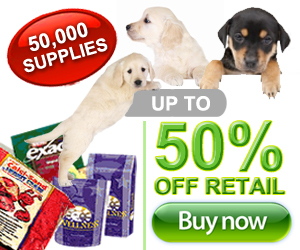 We provide all food, vet care, training, supplies, etc. You supply a loving home where a dog can destress and normalize outside of the traditional shelter environment and take next steps to the forever home they deserve. Entering a shelter shouldn’t be a death sentence, when programs and services are available. We just need some open hearts and homes to help them.